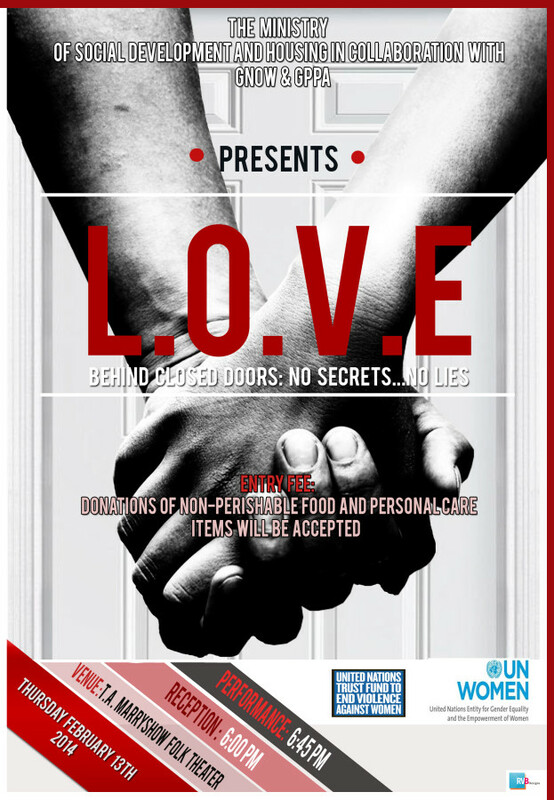 The Ministry of Social Development and Housing in collaboration with Grenada National Women’s Organization (GNOW) and Grenada Planned Parenthood Association (GPPA) presents L.O.V.E – Behind Closed Doors: No Secrets… No Lies. Entry Fee: Donations of non-perishable food and personal care items to be distributed to needy charitable organizations around the nation. *V-Day is a global activist movement and catalyst that promotes creative events to increase awareness and generate broader attention for the fight to stop violence against women and girls through public performances, education, networking, and capacity building.